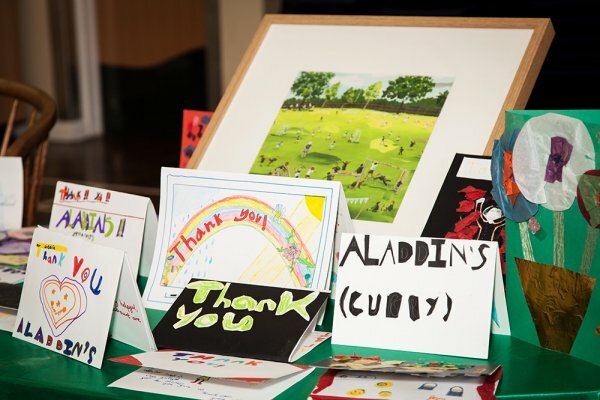 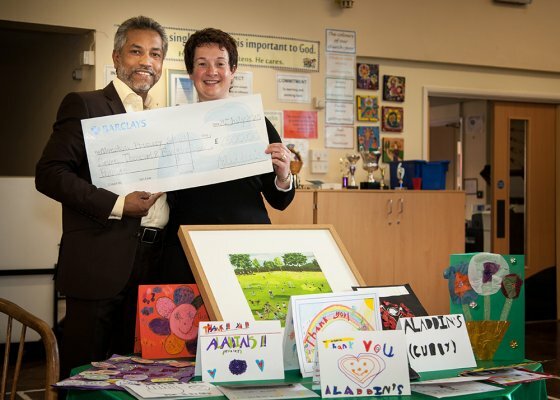 Aladdins’ has raised £7,500 for school children. 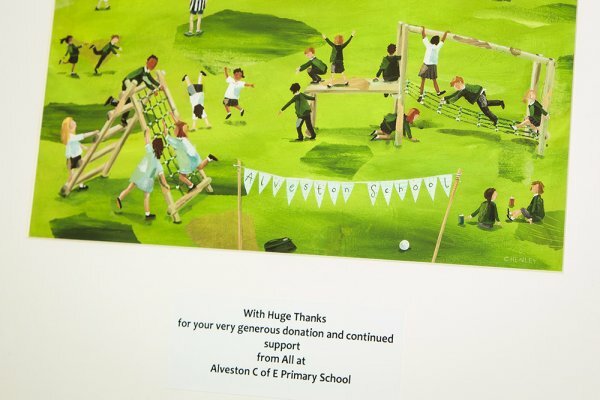 Teachers and pupils at Alveston Primary School thanked restaurant owner Ala Uddin for his fund-raising efforts, which included hosting a community dinner and raffle. 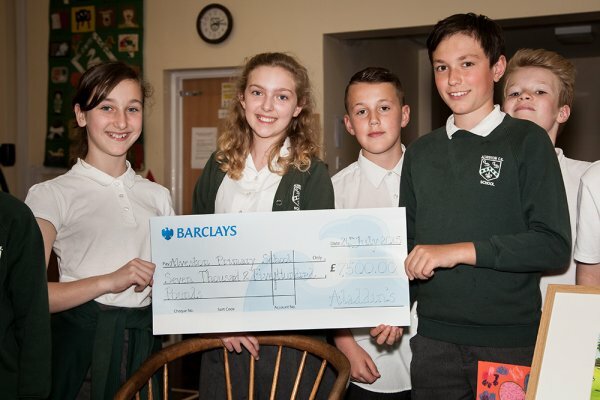 In total Ala raised over £12,000 with Barclays bank adding a further £3,000 to the bring the total to £15,000. 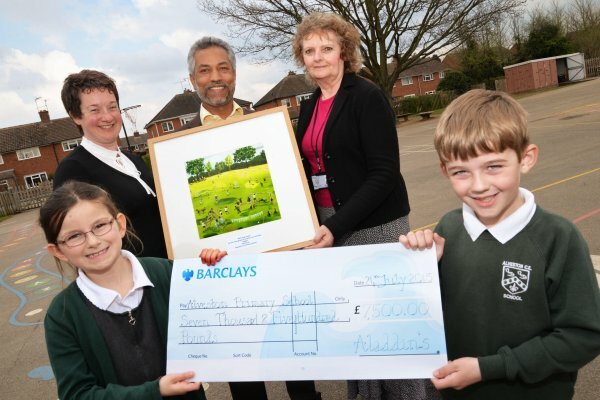 Half was given to the school to buy new smart screens for two of their classrooms and the other £7,500 was given to the Stratford Hospital Appeal. 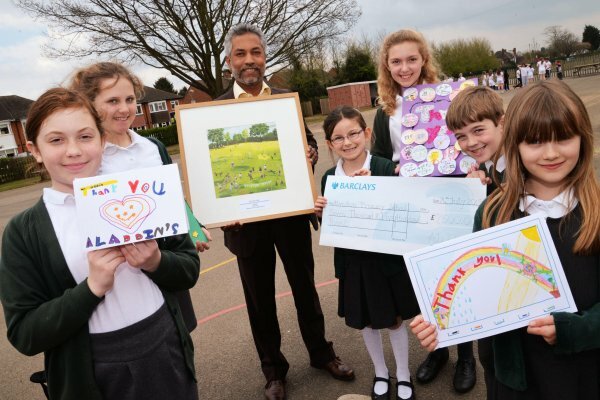 Ala was also presented with a painting from the school as a thank you.